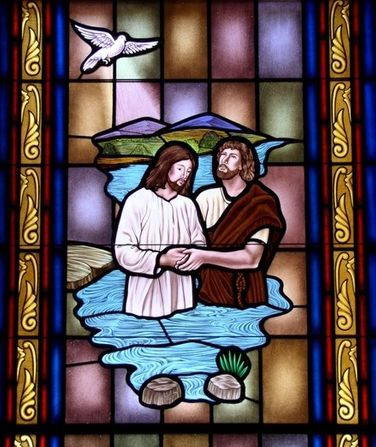 As the name implies, hand-stained glass is actually stained with a reddish brown or black paint. 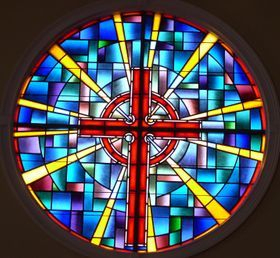 Skilled artists apply a layer of stain to a piece of colored cathedral glass, and with the tapping of a brush, remove it in the areas to be highlighted. 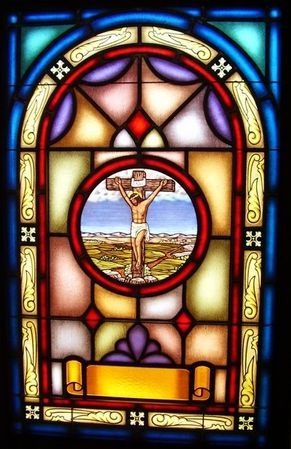 After baking in a kiln between 1200 to 1300 degrees Fahrenheit for about 30 minutes, the stain is permanently embedded into the glass. 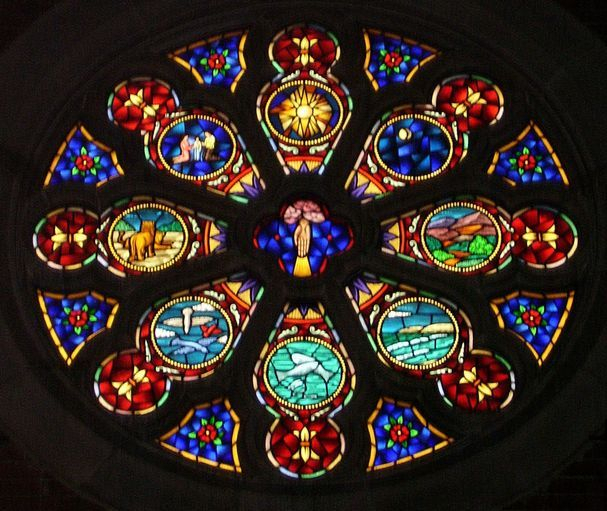 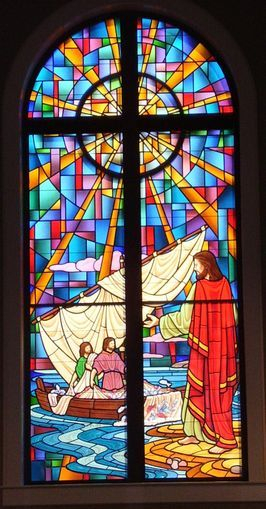 Pictorial scenes, symbols, and memorial plates may be designed in this window.